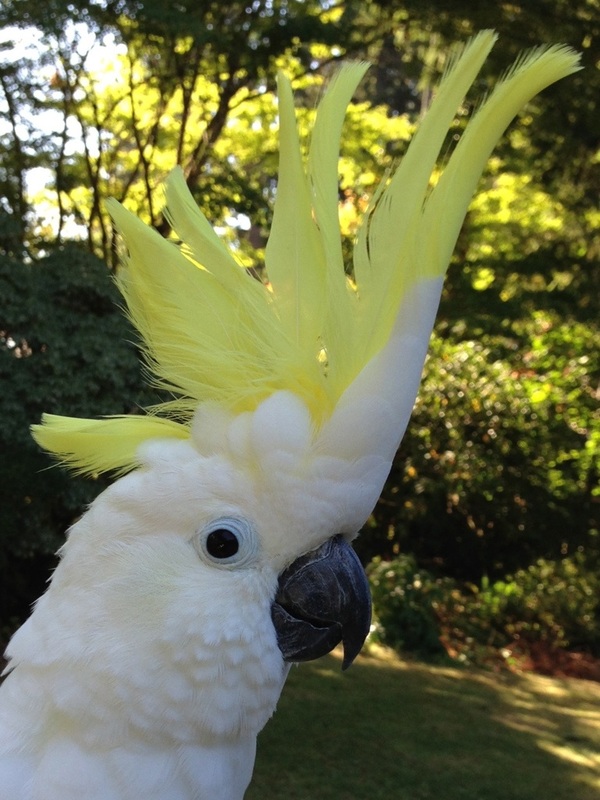 Popcorn is a kind and loving cockatoo. She is fully feathered and is very beautiful. She is also one of the sweetest and quietest birds you will come across. Popcorn is completely content just sitting in her cage next to a window watching the world and listening to the TV. It does take her a while to get use to someone new and she doesn’t like being picked up unless it’s on her terms or when she’s off her cage. She loves head rubs and to be pet under her wings. She would be a perfect bird for someone who has a job but also has some time to offer her love and attention. 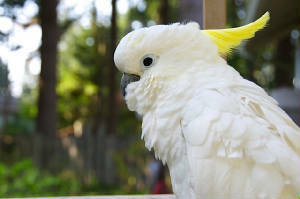 Popcorn is an awesome bird and just needs to find a family that loves her and will spend some quality time with her. 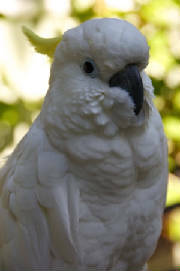 We prefer to adopt Popcorn to someone with large bird or cockatoo experience.